Directors and officers liability insurance (D&O insurance) is designed to protect the directors and officers of a company for claims of mismanagement, such as breach of fiduciary duties, of the company. These legal actions or investigations of wrongdoings are typically brought by shareholders, employees, regulators, creditors, competitors, liquidators and others. D&O Insurance can also be extended to cover the entity for security, employment practices liability and statutory liability to protect the balance sheet of the company. 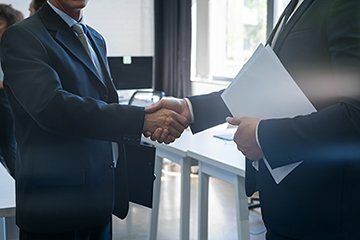 Insurance protection for the Directors and Officers when indemnification is not granted or available to the Directors and Officers of the company – Its sole purpose is to protect the individuals and is the final protection if the company is unable to indemnify the Directors & Officers itself. Insurance protection for the Company when they indemnify a Director and/or Officer of the company, in the form of a reimbursement from the insurer. Side B is a form of balance sheet protection to the company and a way to transfer the indemnity exposure that is agreed in the company’s deed of indemnity. Insurance protection for the entity’s own liability, specific to securities laws. It is balance sheet protection in the event the company is also named in a securities claim. Please note that many insurers are no longer offering side C coverage due to claims history over recent years in Australia. Statutory Liability insurance is protection for the Directors & Officers and the company (when applicable) for a claim alleging a statutory breach. Some examples of the types of statutory investigations and claims are Workplace Health & Safety, Employment Practices Laws, Environmental Protection Authority, Spam and Privacy Laws. Statutory Liability is typically included for the Directors & Officers but not the entity on Directors’ & Officers’ policies. Statutory Liability is an option that can be added to most D&O policies for an additional cost or can be purchased as a separate policy. Employment Practices Liability (also known as EPL) insurance is protection for the Directors and Officers and the company (when applicable) for a claim alleging an Employment Practices Breach. Some examples of EPL would be wrongful dismissal, sexual harassment, discrimination, bullying, whistle-blower, etc. Employment Practices Liability is typically included for the Directors and Officers, but not the actual entity. Entity Employment Practices Liability is an option that can be added to most Directors and Officers policies for an additional cost. As outlined above, Side A coverage is protection specifically for the Directors & Officers. 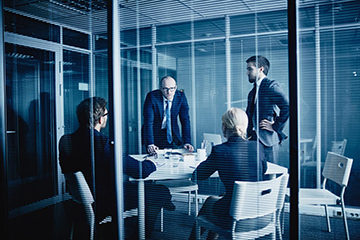 Depending on how a D&O insurance program is structured, there may be an exposure to the Directors & Officers of exhausting their Side A limit due to sharing the limit with the company (Side C). An option to further protect the Directors & Officers is to purchase an Excess Side A limit or policy. Some Directors & Officers policies include a small additional limit of Side A to sit over top of the policy limit if the Side A limit is fully exhausted. There are also insurers that are now offering Excess Side A policies as a stand-alone policy to sit over top of the master policy. Directors’ & Officers’ policies have a Change in Control provision that states that if there is a Change in Control the policy will only respond to wrongful acts or conduct that has occurred prior to this date. To pick up the exposure post Change in Control date, the insured will need to purchase a Run-Off policy to pick up the past acts exposure moving forward. The Run-Off policy is usually purchased for 7 years to match the statute of limitations in Australia. Get in touch with our D&O team today. Directors and Officers exclusions can be categorised into two types—Standard Exclusions that are built into the policy wording and Customised Exclusions that are endorsed onto the policy by insurers. This exclusion states that any future offering of securities is excluded. There can be amendments to this exclusion to have a threshold of the amount of capital raised or where it is raised (ie. USA). This is an important exclusion for the managers of the D&O insurance, as they must notify the broker/insurer to ensure future capital raisings are underwritten before they can be covered. This exclusion has a threshold for major shareholders (i.e. 10/15/20%) and the policy will not cover a claim brought by a major shareholder against the Directors & Officers. This exclusion usually has a requirement that the major shareholder has a holding more than the threshold and a board position to trigger the exclusion. This exclusion removes any coverage for claims arising out of insolvency. This exclusion can typically be removed if the company shows they are in a good financial position and can cashflow the company for 12-18+ months. This excludes claims connected with nationalisation of a Company or any part of a Company’s business. It will also exclude the seizure, reversion, appropriation of a company’s assets by a governing body. This excludes any claim which alleges the mismanagement of the company’s insurance program. This excludes any claim or allegation due to pollution or environmental event. This exclusion is part of every Directors and Officers policy and excludes dishonest or fraudulent acts committed by an insured. It can extend to exclude intentional violation or breach of law/regulation and unfair profit or gain to which an insured has no legal entitlement. It is worth noting that most policies defend the Directors & Officers until final non-appealable adjudication and policies typically include severability clauses which state that a Wrongful Act or conduct by one insured shall not be imputed to other insureds. Prior & Pending Exclusion states that the policy will not cover any pending or prior litigation involving the Company that has begun before the Prior & Pending date of the policy. There are many variations to this exclusion, but the main purpose is to not cover a dispute between insureds / the company and an insured in the USA. The application process is very important during the Directors and Officers renewal process. The application form needs full disclosure around changes to the company, circumstances that may give rise to a claim. In basic terms, an insured must disclose any matter they know to be relevant to the insurer’s decision to accept the risk. Continuous disclosure is also very important. If there is any material change to the company during the policy period, the insured needs to keep the insurer informed of the change. Timing is extremely important on Directors and Officers policies, especially when it comes to reporting claims. D&O policies are written on a Claims Made policy form, which means the demand/claim must be reported and indemnity granted during the period of insurance to trigger a claim. So, if a policy is lapsed and a claim is reported after the policy period the claim will be denied. Most policies have an IPO/Prospectus exclusion and/or a capital raising threshold. These need to be reported to the insurer if they apply to the exclusion and/or are above the threshold. If these capital raisings are not reported, they will not be covered by the policy. Directors and Officers policies have a change in control condition, which usually stipulates that a change in ownership (usually 51% or greater) will trigger the change in control provision and the policy will not cover any acts post change in control date. The ‘new’ owner should purchase a new policy or include the acquired entity on their Directors and Officers insurance policy. The ‘old’ owner or board should purchase Run Off coverage to cover past acts up until the transaction date for up to 7 years – the statute of limitations. It is crucial to understand your Directors and Officers policy and its specific exclusions. Insurers underwrite all public company Directors and Officers policies and they will add customised exclusions as they deem fit. It is important to understand what these exclusions mean and if there are any reporting requirements (ie. Capital raising threshold exclusion). Most policies have an acquisition threshold that usually stipulates that any acquisition greater than 25% of the current assets needs to be reported and accepted by the insurer. This is the insurers way of making sure that they can underwrite these material changes. As Directors & Officers Insurance is written on a claims-made policy form, there are certain areas to address when changing/switching insurers/policies. D&O policies have a retroactive date, which determines how far back the policy will go to cover past acts. When an insured switches policies they need to make sure the retroactive date matches the past policy or is “unlimited”. There is also a continuity date that is usually the inception date of the new policy, which means that any circumstances that may give rise to a claim must be reported to the old insurer as the new insurer will not pick up this exposure. Lastly, Directors and Officers policies are not all equal, so it is important to cross reference the two policies to make sure the new policy is as good as the past policy, more comprehensive, or make sure that the board is comfortable with any differences between the two policies. As a result of short selling, a number of the insured’s debt covenants were triggered. The insured was unable to refinance their debt, and as a result an administrator and a receiver were appointed. Subsequently the company was placed into liquidation. An aggressive and wide-ranging ASIC investigation was undertaken, and public examinations of the former directors and officers of the insured were conducted by both the receiver and the liquidators. This led to two criminal prosecutions (both successfully defended), a class action brought on behalf of the shareholders (subsequently withdrawn), a claim brought by an investment bank in respect of their off-market purchase of company shares, and most recently, a further criminal prosecution by the former CFO. The insurer assisted the directors and paid almost $15 million in defence costs. The insured made an Australian Stock Exchange announcement downgrading earnings expectations on a major construction project. Subsequently, the insured announced estimated losses on the project in excess of $100 million. ASIC commenced an investigation into market disclosure. A class action was commenced on behalf of shareholders who traded in shares for the period at question. The D&O policy limit was eroded by defence costs and compensation payments. The insured created a special purpose vehicle (SPV) to house a controlling interest in a listed mining company (target). The multi-million-dollar purchase price for the shareholding was agreed. At the time of the purchase, the directors verbally agreed in principle with a third party for the financing of the acquisition. The third party failed to follow through with its agreement to provide financing and the purchase did not proceed. The SPV was wound up and a liquidator was appointed. The liquidator initially conducted public examinations of the directors and company secretary of the SPV and then consequently commenced proceedings against the directors and company secretary of the SPV alleging they had traded whilst insolvent and failed to act with the requisite degree of care and diligence. The quantum of the claim was almost AU$30 million plus interest and costs, however the claim was settled by the insurer for a significantly smaller sum. Approximately $500 thousand in defence costs were incurred in dealing with the public examinations, and in defending the claim against the directors and company secretary of the insured and SPV. Less than five months after an insured’s IPO which netted considerable amounts for both the company and the IPO underwriters, the insured revised its fourth quarter results. The revised financials resulted in a significant reduction in revenues for the period and included disclosures that the company‘s auditors had found significant weaknesses in its internal controls and would not endorse the accuracy of its financial statements. The news caused the company‘s stock to plunge well below its offering price. As a result, shareholders filed a class action suit against the company alleging that it had withheld information about negative trends in its business and had made false claims about its financials. The insured was an exploration and production company. It owned a drilling rig which was intended to be utilised to undertake exploratory drilling. Following an initial public offering of shares pursuant to a prospectus, the insured was listed on the Australian Stock Exchange (ASX). The insured then encountered significant financial difficulties with respect to the provision of funds for the drilling program. It was unable to secure funds and the insured was placed in voluntary administration. Several years later a class action was filed against three former directors. The action was brought on behalf of shareholders who acquired shares between the IPO date and the date of entering into administration. The class action’s claim alleges that various representations contained in the prospectus and in the ASX announcements relating to the rig, the drilling program and the insured’s cash flow position were misleading and deceptive. The insured is a food and beverage company. The company was sold and a D&O Run-Off policy put in place. Sometime after the transaction, the buyer of the company filed proceedings against various entities and the Directors, alleging misrepresentation. The insurer is pursuing settlement of the matter up to $1.5 million, with $1 million in Defence Costs also expected to be incurred. If settlement efforts are not successful, the insurer will arrange separate representation for each of the directors, and then reassess the quantum of the expected Defence Costs. 2. Employee claims can consist of wrongful dismissal, sexual harassment, failure to promote, discrimination, unsafe working environment and other employment related risks. 3. Regulatory authorities can conduct investigations and initiate claims against Directors’ and Officers’ for breaches for OH&S, financial markets misconduct, environmental, just to name a few. 4. Creditors, if not properly informed about the organisation’s financial position, can target Directors for any unpaid debts/funds, usually in the event of insolvency/bankruptcy. 5. 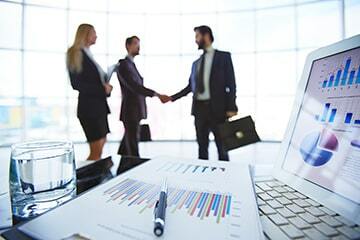 Other sources can include Clients, Competitors, the Entity or Organisation, other Directors. The cost of a D&O liability insurance policy for a public company can vary widely. Policies can start at around $8,000 for a small public company with small limits up to millions of dollars for ASX 200 listed companies. 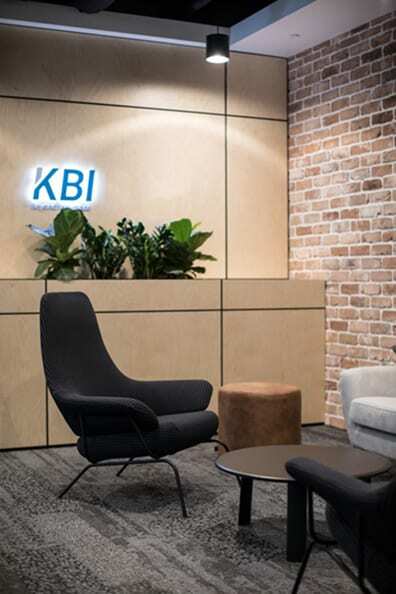 The KBI team has placed Directors and Officers Liability Insurance for over 300 public companies in Australia, Asia and North America. We have also worked with dozens of private and not-for-profit organisations.Our offering is tailored specifically for purchasing and managing Directors and Officers Liability Insurance and includes the following services. Run-Off insurance is designed to provide cover for former directors and officers in respect of claims for past acts occurring during their tenure on the board but have not yet materialized and/or been reported to the insurer. Want to keep up to date with all our latest Directors and Officers Insurance news and information? Enter your email to be added to our mailing list. I first contacted KBI to seek their assistance in organising D&O insurance for our small-cap ASX listed company. They were supremely responsive, very informative (on what can be a complicated and difficult to compare product) and proposed a fit-for -purpose solution at great value. Their proposal was clear and coherent and gave me great confidence in tabling for Board review and approval. We will be moving all of our insurance management to KBI. Highly recommended. Travis is expert at finding excellent insurance value solutions for his clients. He caters to small and medium-sized businesses who need responsive advice and service and are working within a budget. Particularly, if you're experiencing the big insurance company hard sell followed by unresponsive service and cookie-cutter products, I think you'll be pleasantly surprised by what Travis will do for you. Travis does excellent work in designing insurance that fits diverse clients and diverse needs. We have used their insurance for three years and it has provided solid coverage. Travis is my “go to” mining expert in the insurance industry. I have contacted Travis a number of times to provide quotes to public and private mining companies with coverage options ranging from straight D&O, through to a full suite of coverages including active mine and overseas kidnap coverage. Travis is well versed in risk management and has assisted in evaluating the coverage options, providing cost comparative analysis in simple terms that are tailored to the mining sector. R. Anderson & Associates Inc.
Travis and his group has been providing insurance to our junior mining companies for several years and he has provided us with outstanding service over that time. He is extremely knowledgeable in his field, is very personable and I would not hesitate to recommend him and his team for business or personal insurance needs. "Travis was always good at being straight up with answers and getting information for us and presenting it in a way that was clear and concise."